In life, I’m constantly looking for ways to improve myself; I read books, seek advice and guidance, and also pay attention to the success and failures of others. To be honest, I don’t bother myself with the source of wisdom, knowledge and insight but rather, analyze everything and learn from everything. In the world of boxing, Floyd Mayweather is not everyone’s favorite cup of tea. In fact, about 68% of people wanted him to lose his fight against Pacquiao. People are tired of him and they want nothing more than his downfall. This is understandable because Mayweather has made costly mistakes, has often at times comes across as arrogant and self centered and recently, he caught the media’s attention for domestic violence. Maybe he is putting on a front because of the career he is in, but nonetheless, he is probably the most hated athlete at the moment. I certainly do not like certain things about him (excessive arrogance and case of domestic violence) but I sure think he is a master in the ring of boxing. I respect his skills, smarts, and wisdom of the sport. I respect his record and respect the fact that he is definitely one of the greatest fighters to step foot in the ring. Besides all of the negativity surrounding Mayweather, there is a lot you can learn from his career as a boxer. There are a lot of life lessons which might benefit you and I if we take heed to them. Ignore the dirt and dust surrounding him and you might find gold. 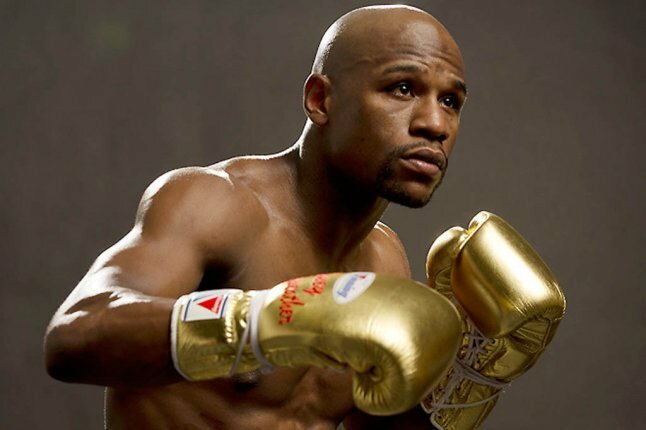 Below are the 10 Important Life Lessons You Can Learn From Mayweather’s Boxing Career. In Atlanta 1996, during the semi-finals of the Olympic games, Mayweather lost a boxing bout to Serafim Todorov of Bulgaria. He lost by a controversial decision, similar to the Roy Jones Jr. defeat in the 1988 Seoul Olympic light-middleweight finals. This did not decide Mayweather’s fate – in fact, it is believed that the controversial loss fueled him to dominate the boxing ring; it would be his last loss. How many of us have allowed past failures to repeat themselves? Often at times, we get haunted by the same failures instead of allowing them to guide and help us succeed. How many of us can actually say that they put in the necessary effort into their passion? How many of us actually work harder than our competitors or our opponents? In the Business world, companies fight for consumer sponsorship and support, and it’s evident that the companies who go the extra mile, put in the extra hours and effort succeed. You’re in constant competition for the best grade, the next job, etc. Figure out your opponent, enjoy the competition in fairness and work hard. As a leader I respect once said “don’t make it to the top leaving dead bodies behind”. Hard works breaks no bone. Sacrifice the time and resources and it will eventually pay off. One person close to Mayweather mentioned that, what we see in the ring is only a glimpse of what Floyd does at camp. He is believed to be the hardest working athlete. It obviously pays off. We’re all gifted with many talents but the most successful ones among us did not only discover their talents, but stayed committed and worked on them. Figure out what makes you tick. Figure out what you do best and work at it. Commitment leads to success. Martin Luther King once said something along the lines of “if a man is a sweeper, and he always sweeps the streets with dedication, passion and commitment, the world will travel and pay to watch the man sweep”. Floyd is the kind of person people pay to watch. He is committed to his craft as a boxer and he has found a way to win with points while suffering minimal damage. His commitment is evident. If you hate him, you might pay to even watch him lose. I’m actually guilty with this point but I’m learning to find ways to reward myself for my accomplishments. I don’t believe in overspending or spending unnecessarily, but one thing I have come to learn is how to celebrate my quick short victories by rewarding myself. Some people hate Mayweather’s buying habits – rightfully so, but when I pay attention to his behaviors, psychologically, he is rewarding himself. He believes that he has worked hard and should enjoy the fruit of his labor. How many of us take the time to go on a vacation and get some rest? How many of us take the time to enjoy what we have actually worked for? What is the point of working so hard if we are not going to enjoy the fruits of our labor? Rewarding yourself will refresh your mind, body and soul while serving as a motivation to do more and achieve more. What we sometimes don’t understand about successful people is how strategic they are. They are usually calculated and purposeful leaving a little room for luck. Yes, luck can play a role in success, but when luck meets preparation, the rest can be history. Mayweather always develops a game plan for every fight. Recently, for his fight against Pacquiao, Mayweather did extensive research on PacMan. He actually convinced one of Pac’s trainers to join his camp only to learn from his opponent. After he studies his opponents, he develops a game plan and sticks to it. He then forces his opponents to disregard their game plan in the ring. He will tweak his game plan as needed, but for the majority of the time, he does not allow his homework to go to waste. He is strategic. Strategic kings always won the war. Strategic generals won key battles. Strategic coaches won the big games. Strategic companies win over clients. Once a strategy is in place for success, all your actions will follow. Life will surely throw you curve balls and your success will be determined by how you respond and how you adjust. Most boxers who have fought Mayweather will tell you that he makes adjustments when necessary. Against Mosley, he almost got knocked out and Mosley thought he was going to win the fight; to his surprise, Mayweather adjusted and the results was a Mayweather Victory. Life will knock you down no matter how many hours you spend preparing (but still prepare) – we prepare for the “knowns” and adjust to the unknowns. Mayweather does not completely abolish his strategy or goal, but tweaks his behavior to better align himself to the new threat or challenge. In life, we should be able to do the same if we want to be successful. We should not allow a minor hiccups to knock us out. In the Business world, we will face many hiccups, but the best companies will always adjust to meet their goals. Be comfortable adjusting and you will uncomfortable succeed. Back to the basics. The basics is everything. You can’t achieve greatness by ignoring the basics of all you do. If you are a people manager, you don’t only focus on the numbers, but your people because your people are the ones who actually work to help meet the business goals and score card metrics. Before you can do complicated math problems, you need to first understand simple arithmetic. Most Championship teams in sports are known for doing something extremely well: the basics. The basics are like the foundation to a building. Without a strong foundation, the building is subject to be destroyed in tough times but a building a with a great foundation will stand the test of time. In times of trouble and adversity in life, the basics are what will sustain you. Whatever you want to do in life, understand the basics and success will be your portion. I can be impatient. What I want, I want now. This is a bad trait because patience leads to long term success and it is a weakness of mine I’m aware of and work on consistently – and it is paying dividends. Mayweather is very patient in the ring. He takes his time from the beginning of camp and it shows in the ring. He is patient to understand his opponents. He is patient in setting his opponents up in the ring. He waits, jabs, waits.. more jabs, waits and then BOOM – he attacks. He waits for his opponents make a mistake and then capitalize’s on their mistakes. In life, whenever you want something so bad, be patient enough to get it at the right time. Trust the process and the patient with it. Slow and steady wins the race. Mayweather is known for one thing: Defense. He is not known for knockouts, so he does not go pressuring for it. If Mayweather tries to knock someone out, he will leave himself open and possibly get himself knocked out in the process. He focuses on his strengths and fights his fight. We tend abandon what we do best when the going gets tough and we tend to ignore our strengths. In life, we are all blessed with different strengths and capabilities. Learn to focus on them and use them to your advantage. Don’t fight your opponents fight, but fight yours. Mayweather does not practice for a knockout. He does not practice for 12 rounds. In reality, he practices beyond 15 rounds. He wants a knockout without a doubt, but he practices as if he is not going to get one. He prepares his mind and body for a long and gruesome fight – so whenever a fight gets to the 7th or 8th round, when his opponent is tired, his conditioned body and mind is just waking up to do damage. We often at times look for quick success or shortcuts but in reality the quicker you achieve something, the quicker you are prone to losing it. Anything worth awhile takes time. The crowd (naysayers, “haters”, critics, pundits, etc.) will only be a factor if you allow them. Against Pacquiao, the crowd got involved anytime Pacquiao threw hay makers. The crowd got excited even when PacMan was not connecting on his punches. This could have forced Mayweather to fight Pacquiao’s attacking style of fighting while making himself vulnerable, but he did not buy into it. He kept defending and countering. He stuck by what he knew best and what he was good at. He was not fighting the crowd or his critics, but Pacquiao. When we fall into the trap of fighting the rest of the world, we ignore what is really important. His focus on his enemy is what led him to victory. Just like me, you probably don’t like certain things about Mayweather even though he is only human. But to stay on unbeaten for 20 years is something we can all respect and learn from.